Was advised not to go here, but took my chances. Food was stale and old, employee was rude and unpleasant. I would really recommend going any where but here. Not sure why we came back. Food is typical off the Asian delivery truck food. As mentioned in other reviews food temp is hit and miss but there is one thing very consistent and that is the rudeness of the "lady" at the register. Many foods are cold because there is not enough water under the pan on the steam table. Glass dividers between booths are very streaked and dirty, food left on walls and seats. Food OK, prices very high. The food is past its prime and the furnishings are very worn. Cleanliness is not on the menu we tried it a couple times and there was no improvement. Growing less fond of this place as time goes on. 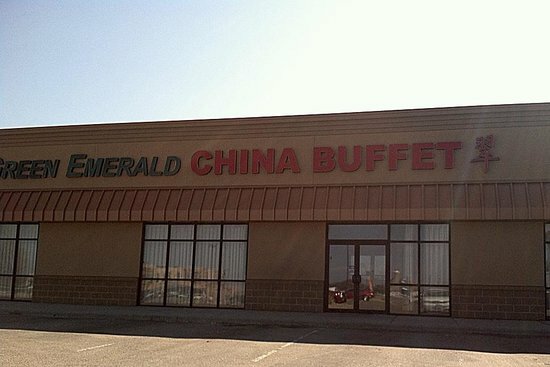 Get quick answers from Green Emerald Buffet staff and past visitors.